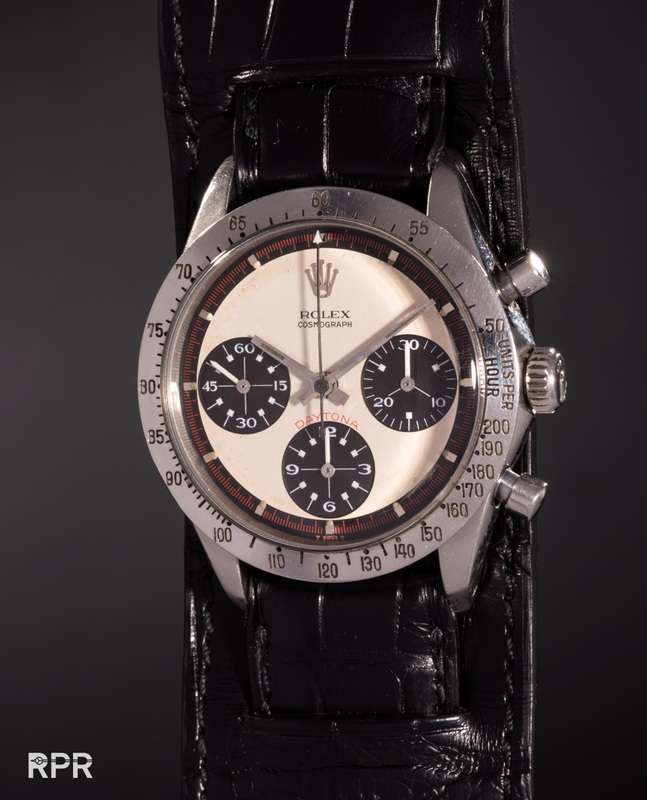 Paul Newman’s own Rolex Paul Newman will be auctioned..
Paul Newman’s Daytona will be offered at Phillips inaugural New York watch auction that takes place on October 26, 2017. UPDATE: Check out the article on Revolution Watch with Phillips Watches Paul Boutros..
On its caseback, “DRIVE CAREFULLY ME” is the heartfelt and loving inscription Paul Newman’s wife Joanne Woodward chose to engrave for his iconic present. What a great taste Mrs Woodward had by choosing the racing inspired Rolex Daytona with previous nicknamed the “Exotic” dial. Mr Blue Eye’s Rolex Daytona has become mythical, the fact that it will be auction is exciting, very exciting! Due to the coolness of Mr Paul Newman italian collectors started to call his “Exotic” Daytona giving the nickname Paul Newman. 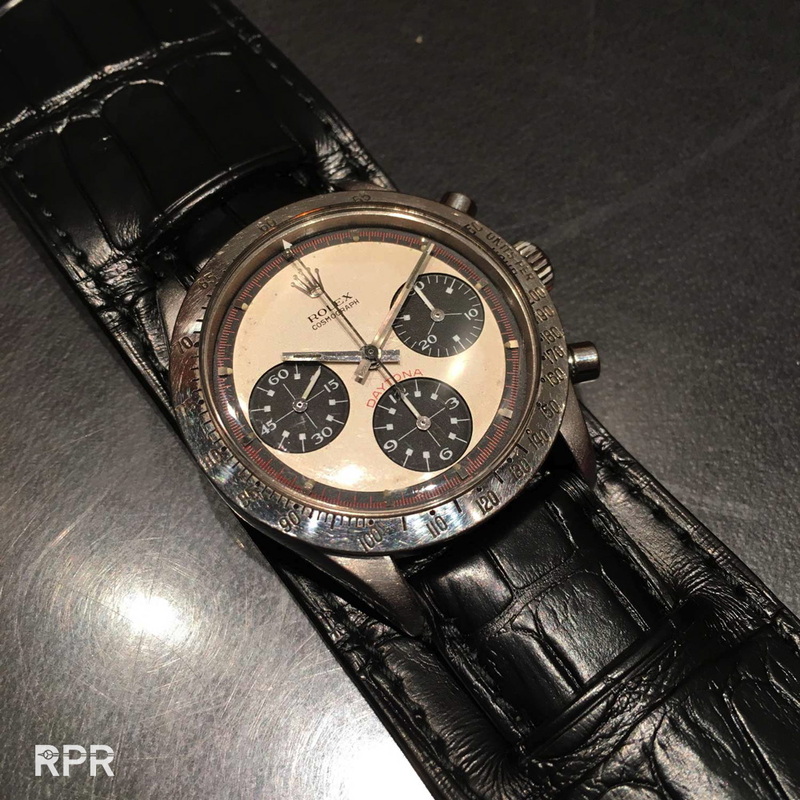 From origin Rolex asked their dial maker Singer to produce a special run chronograph dials because those where not selling quite well back in the days. The successful flight to the moon with the Omega Speedmaster was working negatively for the sales of the Rolex Daytona. Due to the oil crisis made the racing imago wasn’t very populair and Rolex needed to come up with something new. Except the development by Singer of the “Exotic” dial, Rolex developed the “screw down oyster-waterproof” pusher making their Daytona Cosmograph a sales hit. So how much can it bring at auction is the question? The estimate is in excess of $ 1 million so lets just get this into perspective. The legend, the gold Oyster Paul Newman, sold recently for $ 3.850.000,= and from this PN version we know at least 3 examples. So how much is the actual Paul Newman, mother of all Paul Newmans? Imagine the value of all the Paul Newman exotic dials together that found their way into a pump / screw Daytona. We easily talk about several hundreds of million$ totally, seeing the recent prices of of 500K of the Oyster Newman’ s achieved in Hong Kong, prices are still rising. 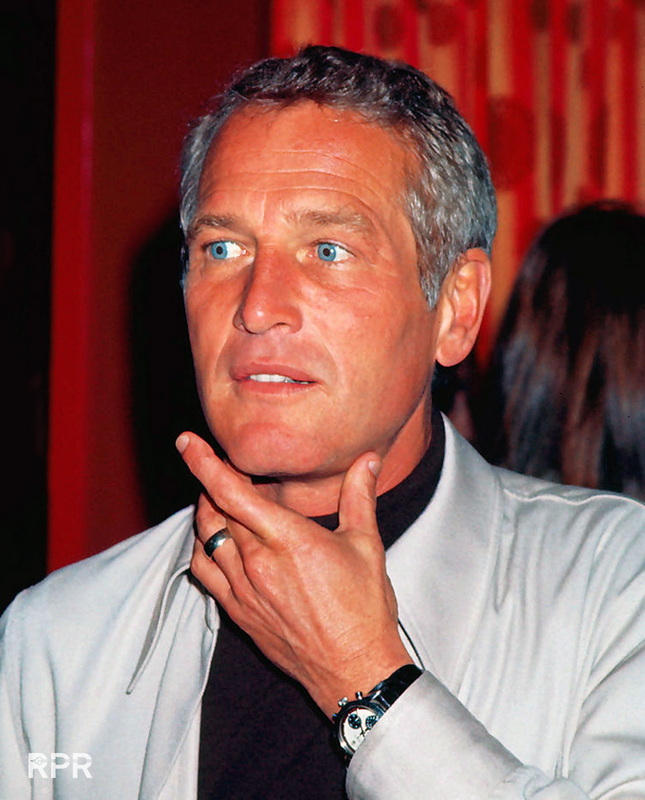 Logically in the current market ” The Paul Newman” could go for $ 5 million. Some say thats it will not beat the highest price ever paid for a Rolex, the Bao Dai with $5.060.000,=. Then others say it could hit the price of most expensive wristwatch, beating the Patek Philippe Ref 1518 sold for $11,136,642,=. Personally I think it will finish in-between, make it 8 million. It all depends on how much the market accepts that this example is indeed the actual Paul Newman Phillips is offering. Let’s wait and see. NEW YORK – 5 June 2017 – Phillips in Association with Bacs & Russo, the leading watch auction house dedicated to highest quality timepieces, is proud to launch its inaugural New York auction with WINNING ICONS – Legendary Watches of the 20th Century. Scheduled to take place on 26 October 2017, this landmark thematic auction will be dedicated to the most iconic collectors watches of the last century. 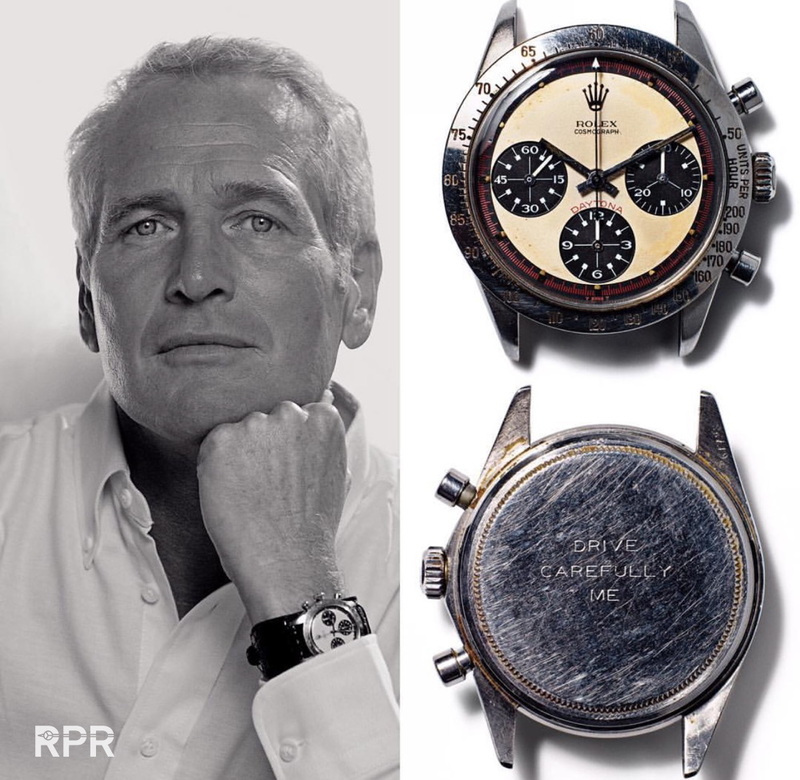 A historic event in its own right, WINNING ICONS will offer what is without a doubt amongst the most important Rolex watches to ever be offered on the market: The singular, one and only Rolex “Paul Newman” Cosmograph Daytona owned and worn by none other than Paul Newman. With an absolutely superb provenance, it is the watch that inspired the legendary nickname for the most prestigious versions of Rolex’s Daytona. 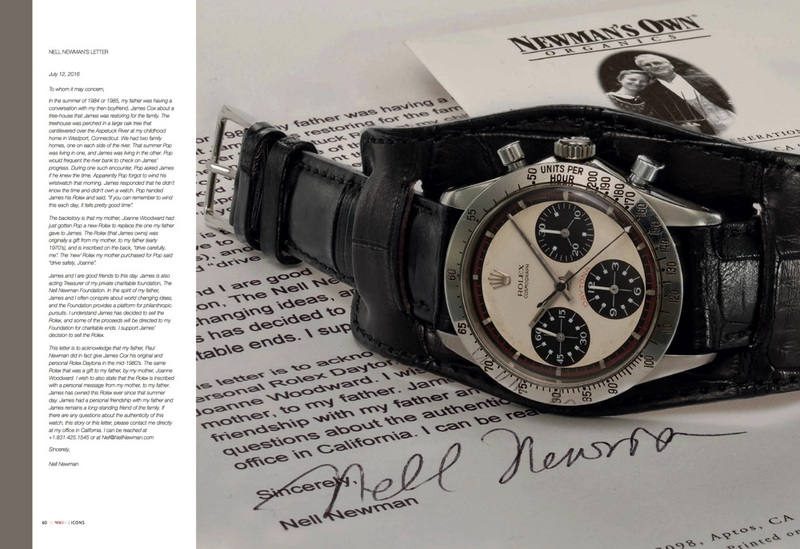 For enthusiasts and scholars, it is this association with Paul Newman that has led to the Rolex Daytona being universally regarded as one of the world’s most sought after and collectible of all mechanical wristwatches. 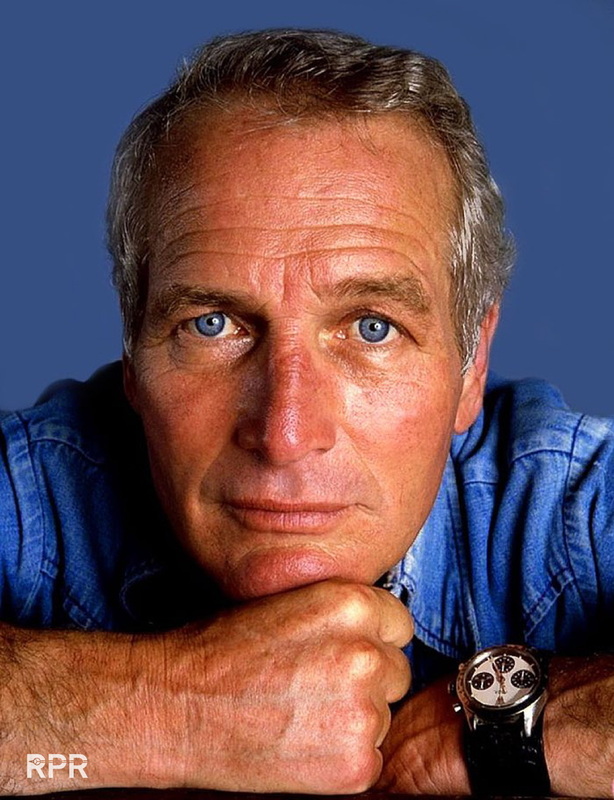 A Hollywood legend in every sense, mere mention of the name Paul Newman conjures up images of his distinguished life and careers as an actor, director, racecar driver, entrepreneur, family man, and philanthropist. He was a multi-faceted virtuoso and his incredible performances on screen and stage not only made audiences laugh and cry for decades, but won him two Academy Awards, including that of Best Actor – Hollywood’s ultimate endorsement of his immense talents. Outside of his artistic endeavors, Newman had long been passionate about speed. It was his role in the 1969 film, Winning, playing racecar driver Frank Capua, where his passion for racing would form. His wife and fellow actress, Joanne Woodward, fittingly played the role of Capua’s wife – a role she had already been perfecting for a decade in their personal lives. Taking place at the Indianapolis 500 Motor Speedway, the movie launched his hugely successful auto-racing career. Applying the same methodical discipline that honed his acting skills, he trained relentlessly, and would go on to win many races throughout his lifetime – even placing second at the 1979 24 Hours of Le Mans race. But even in the earliest days on the set of Winning, Joanne was uncomfortable about her husband’s motor racing, fearing he would hurt himself in an accident. Either during or following the filming of Winning,Joanne purchased the perfect gift for her husband, likely at Tiffany & Co. – a Rolex Cosmograph Daytona – a watch designed specifically for motor sport. 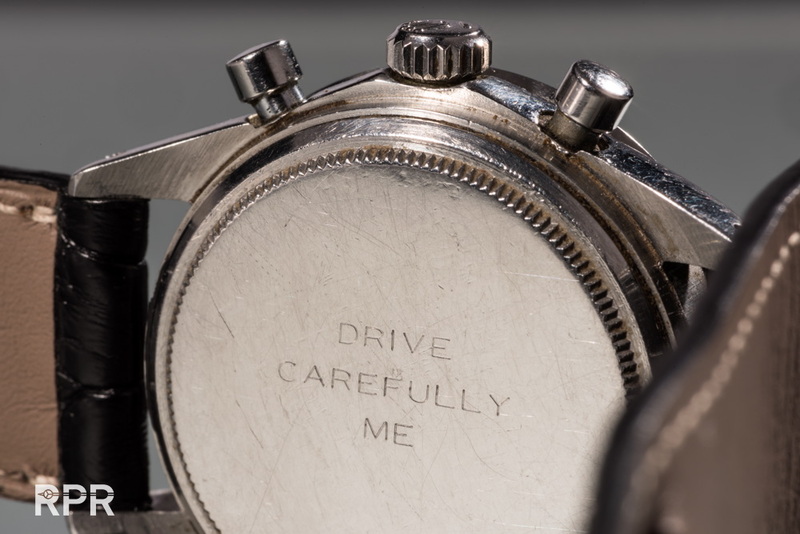 On its caseback, “DRIVE CAREFULLY ME” is the heartfelt and loving inscription she chose to engrave for him. Fearful of his need for speed, Joanne would worry for his life every time Newman would step onto the racetrack for a drive. A woman of exceptional taste, she chose a rare and exclusive version of the Cosmograph Daytona – a reference 6239 fitted with what the brand called an “exotic” dial. 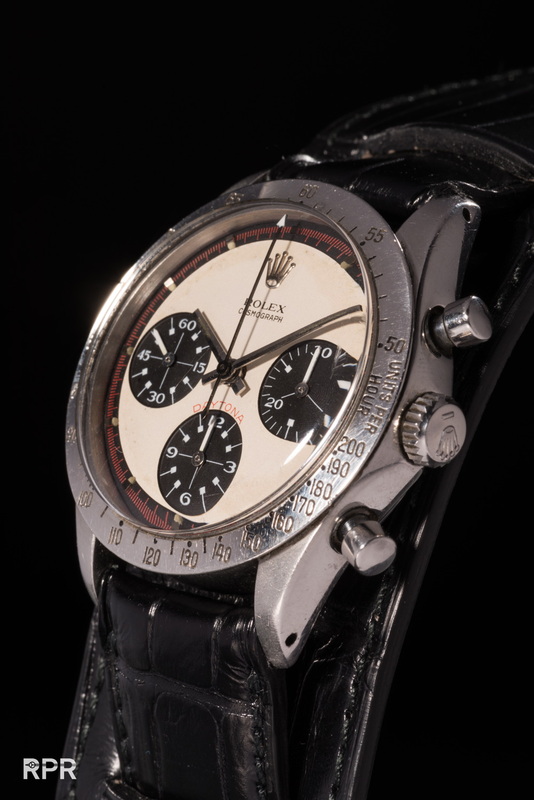 The reference 6239 was the very first model of Rolex’s iconic Cosmograph “Daytona” series – produced from approximately 1963 until 1970. It was the firm’s first chronograph with a tachymeter scale engraved on the bezel, designed to instantly and clearly measure speed. During the 1980s, as wristwatch collecting began to grow in earnest, Daytonas fitted with the “exotic” dial became known as the “Paul Newman” Daytona after the famous actor, who was seen wearing this very watch for many years. Along with the red “Daytona” designation at 6 o’clock and the red outer seconds track found on Paul Newman’s watch, the signature trait of exotic, “Paul Newman” dials is their subsidiary dials. The beautiful, art-deco flare of the font used, and the hash marks with small squares used for the counters set these exotic dials apart from the standard dials more commonly seen on Daytonas. The horological event of 2017 will be the offering of this particular reference 6239. 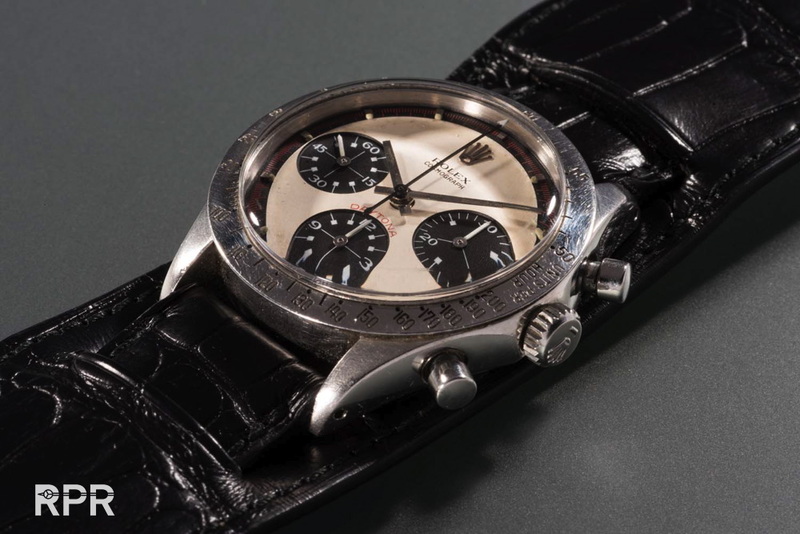 Commonly referred to, but not seen since the 1980s, is this most important of Rolex Paul Newman Daytonas. This exact watch to be offered for sale by Phillips was worn daily by the legend himself, and was prominently featured in many photographs published in magazines and books for decades. This absolutely fresh-to-the-market wristwatch is the “Paul Newman” after which all others came second. Throughout his career, Mr. Newman was seen wearing many different generations of Daytona models. 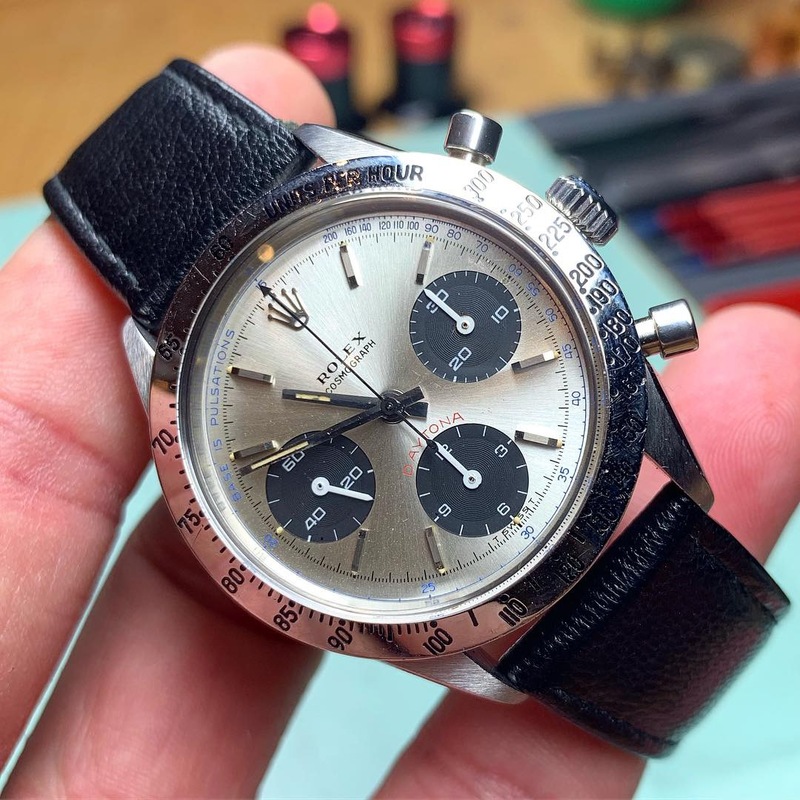 This is the first Daytona he wore, and is the only “exotic”-dialed Daytona that Mr. Newman owned and wore, making it the ultimate Rolex Daytona wristwatch. 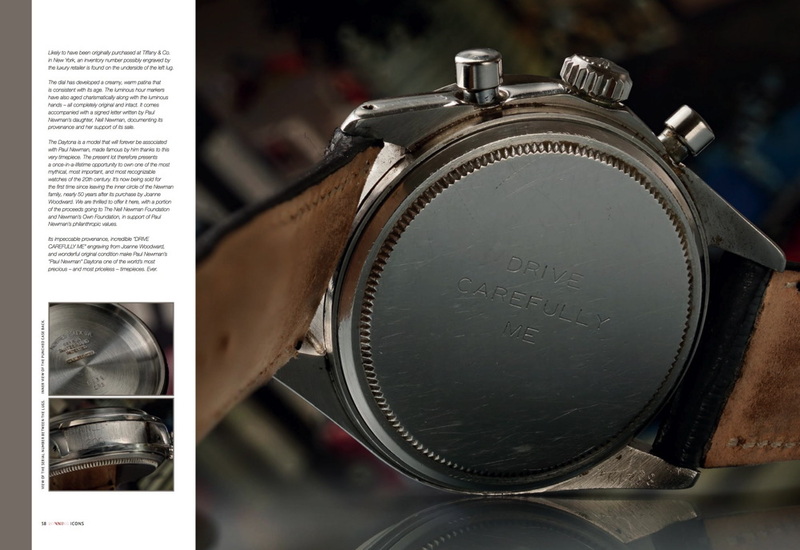 It features the most famous dial, fitted in the most famous collectors’ watch, produced by the most famous watch brand. 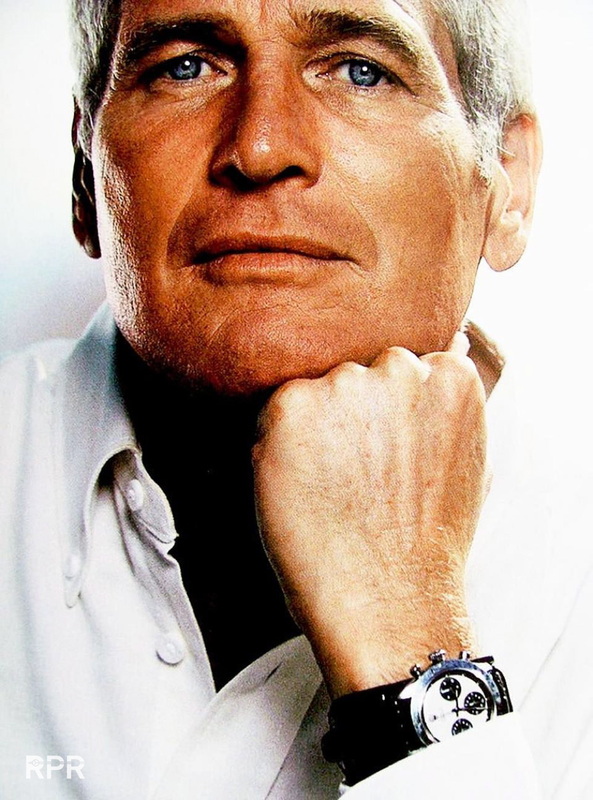 For years, until 1984, Paul Newman wore this watch faithfully. 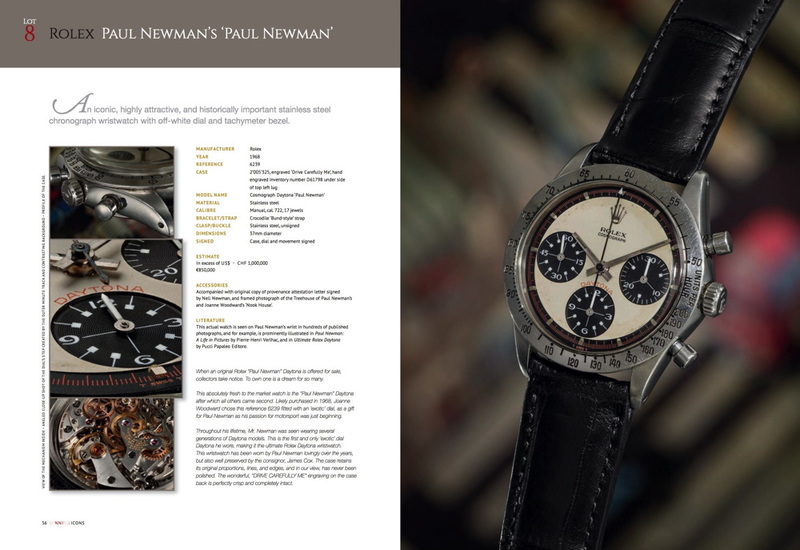 Ultimately, it was given directly by Mr. Newman to the consignor, forging an incredible history and provenance that we are delighted to share here. 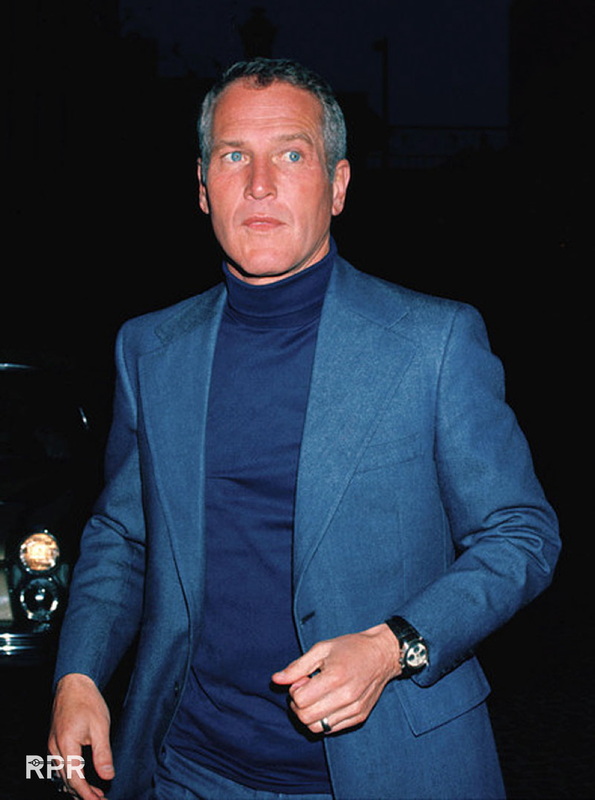 Off camera, it was sometimes difficult to differentiate the storybook endings that Mr. Newman acted through on the silver screen and the ones that transpired within his own family. 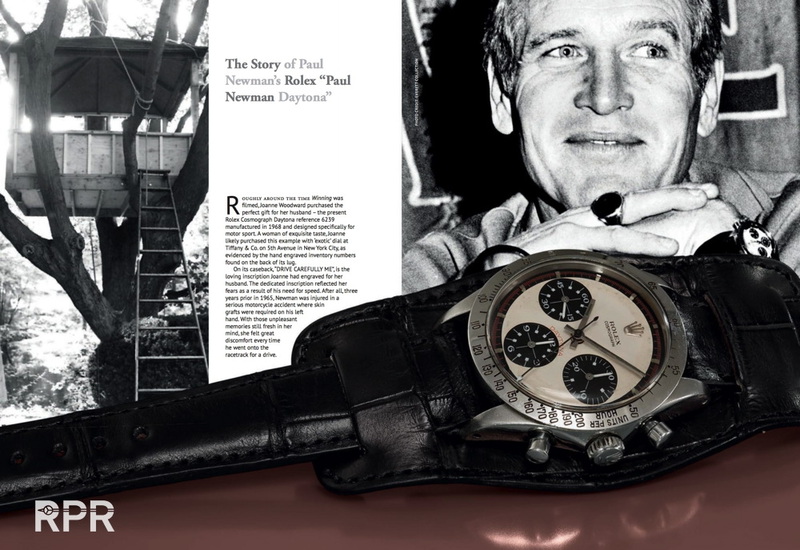 The story of this watch, and its connection to Paul Newman and Joanne Woodward’s first daughter, Elinor “Nell” Newman is truly fascinating. Nell was a beautiful, smart, ‘girl next door’ type. Humble like her father, she never advertised her Hollywood pedigree growing up. In the fall semester of 1983 at the College of the Atlantic in Bar Harbor, Maine, she began dating a fellow student named James Cox. At school, she kept her famous background secret, going by her largely unknown stage name, Nell Potts. During a dinner with fellow students, Nell brought a bottle of “Newman’s Own” salad dressing – a product her father produced through his charitable company, Newman’s Own. Upon seeing the bottle, James told the group that he had met Paul Newman as a child at the Lime Rock motorsport racetrack with his father. From behind the roped-off racing teams’ pit-area, a young, wide-eyed James was trying to capture a picture of the drivers and their cars. Cox was spotted by a fully suited up driver who gestured towards him to come under the barrier onto the track to get a better photograph. The driver, he told them, was none other than Paul Newman. It was after she heard the story that Nell confessed her true identity to James. Her name was not Nell Potts, but rather Nell Newman. Nell diligently hid her background under this alias to insulate herself from anyone with ill intentions seeking to become her friend for the wrong reasons. Needless to say, James was in love with her, not her famous background, and the two continued to date for several years. It was this very tree house that convinced Nell’s mother, Joanne Woodward, to purchase the home. For Paul and Joanne, the tree house was in fact the most important feature of Nook House, and it was central to the longevity of their incredible, 50-year marriage. Since that day, James treasured the watch and has preserved it in all original condition. Together, James and Nell, who remain close friends, have jointly decided to sell the watch, with a portion of the proceeds going to the Nell Newman Foundation. The charitable foundation supports her father’s philanthropic values, while serving Nell’s commitment to organic foods and sustainable agriculture. A portion of the sale proceeds will also go to benefit Newman’s Own Foundation. Phillips is thrilled to offer this watch to the market, which can easily be considered the most “storied” and most important vintage Rolex of our time. This top lot of the groundbreaking WINNING ICONS New York Auction will be offered with an estimate in excess of US $1.0 million. This post was written by Philipp on June 6, 2017.